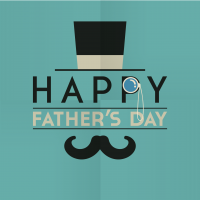 Happy Father’s Day to ALL of you Dads! And to EVERYONE, I hope you have a terrific day of Cozy Mystery reading! This is my first year without my dad on Father’s Day but he’s the one who taught me to love reading. My earliest memories with him are of us sitting in the den while he read Sherlock Holmes to my sister and me. I’ve been a mystery ever since! That’s a wonderful legacy, Anne! Indeed I did ☺ I skip words at all the time! I don’t mean to I guess my brain gets over excited. I hope you had a great day yesterday! Anne, I know how difficult it is to lose a dad. But as Susan* says, that’s a wonderful legacy! Just as a bit of trivia, Father’s Day here in Australia, is in September. Does anyone know of any good mysteries with Dads as the sleuth? – I know you have ‘Stay-at-home-dads / House Husbands’, Danna, but I’m looking for Dads generally. There’s plenty with Mums, but Dads are a little rarer. Susan*, I have two Stay-at-Home Dads on this list, but it will be interesting to see if there are any more! Susan*, isn’t it odd how we have different calendar days for the very same thing? Danna, I have a question for you or your readers. I didn’t know where else to pose this question except here so forgive me if this is the wrong place. I just picked up two copies of Elizabeth George’s books in the Inspector Thomas Lynley series. The first one titled “With No One As Witness” published in 2005. The second one titled ” What Came Before He Shot Her, ” published in 2006. Do any of you know the name and the year of the book where the wife was murdered? I would like to read the books in order starting with wife’s murder. I see there are quite a few books with this Thomas Lynley as a main character. Is the wife’s murder a continuing theme? Can’t hardly wait to start reading the books!! I have never read Elizabeth George. I don’t know why, just never got around to it. From the looks of what is on the library shelves I could be busy all summer. Except I have cataracts that need to be removed. Oh well!! Another example proving the growing old isn’t for sissies!! !